The year was 1998, and a solid chunk of Porsche 911 enthusiasts are probably already have convulsions from disgust and despair as to what happened. 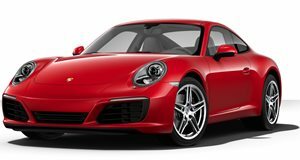 For the first time in its already long history, Porsche gave the 911 a complete redesign. New body shell. New platform. New interior. New everything. Porsche figured the 911 was long overdue for a major update, and the 996 was the result. Replacing the 993 generation, the 996 also featured an all-new and more powerful flat-six engine, only it was water-cooled instead of air-cooled. Those Porsche purists are probably still shaking uncontrollably. But that was nearly 20 years ago, and perhaps it’s time to reexamine the 996 911 for everything it is, rather than what it’s not. Drivetribe’s Jethro Bovingdon's personal car is a 996 911, which he purchased second hand several years ago, and has further upgraded since. Say whatever you want about the 996, whether it's because it's ugly (we admit we're not fans of the teardrop headlights), unreliable, or whatever. The fact of the matter is that it was and still is a brilliant driver’s car. What’s more, it’s still one of the least expensive used 911s out there (likely for reasons stated above).